My last visit at Joann's was great. It's been a while since I felt like a kid in a candy store. 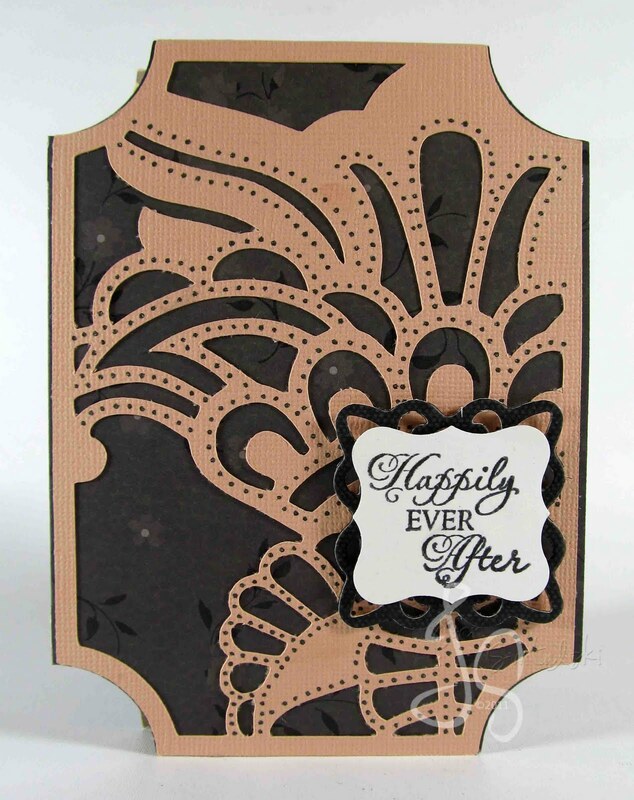 They now have most of the latest Cricut cartridges, EK Success punches, a whole line of Tim Holtz products and a good bunch of Spellbinders dies. It was really nice to actually touch them, compared to seeing them in photos and videos on the internet. Every after band practice, I would stop by Joann's to see what's new. And I always look for tools that I've been itching to have. One of them is the Damask Decor cartridge. I was really happy when I saw it displayed behind the counter. And most of all, it was on sale. That night, I enjoyed going through each page of the booklet. My mind was racing as to what kind of projects I can make. But as usual, I started with a card. 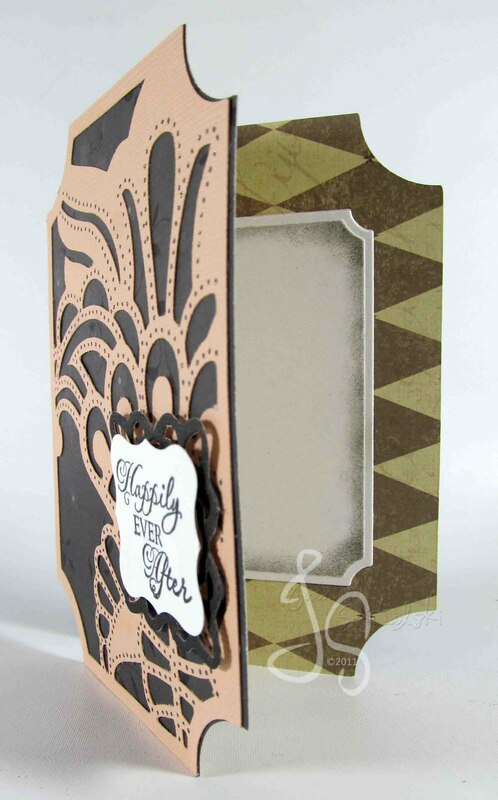 Thanks to the Gypsy, I'm able to size my card to A2 size with the Damask4 Card as my card front on page 23. I added dotted lines using black Spica glitter pen for final touches. Since I used double sided cardstock for my base, I decided to put another piece of cardstock inside, cut with a matching Spellbinders die and inked with Stampin' Up Going Gray. And because I was using my Cricut, I was able to make two cards of the same design. Fun! By the way, I just made a photo compilation of all my projects during the month of July. You can see it by clicking here.